12 years ago my brother-in-law was diagnosed with cancer and it changed everything for me. I felt blind-sided, helpless. I wanted so badly to fix it. Enter best friend with stellar idea: captain a team for the American Cancer Society's Relay For Life! For nine years we captained the top fundraising team for our local event and even won top honors for the entire state of NH in year seven! We sold everything from candy bars to raffle tickets, hosted comedy nights and pancakes breakfasts. Seven years ago we saw a large local need and decided to shift our efforts from a national focus to one closer to home. 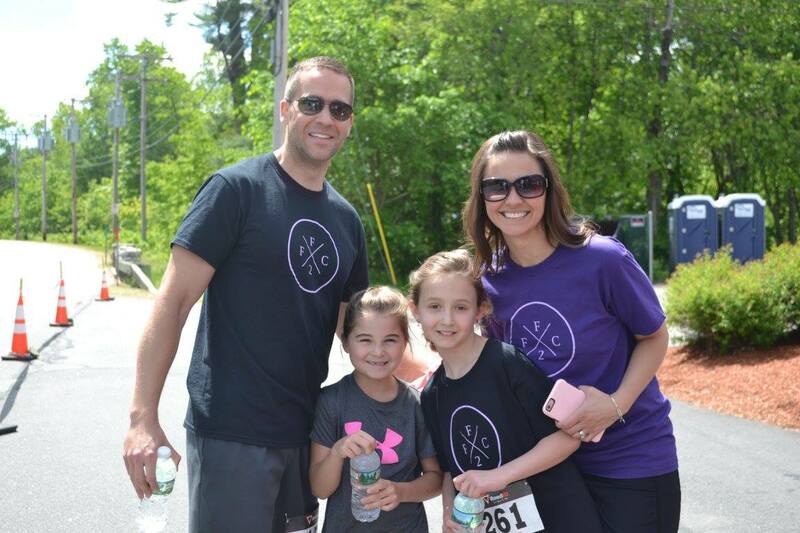 Now, our largest fundraiser, our annual 5K road race, directly benefits local families who have been affected by cancer. We are so happy to have raised over $30,000 for them! I'm happy to report that my brother-in-law is doing well! Now I continue the Fight 2 Finish Cancer (F2FC) for my mother, my friends, and everyone touched by this relentless disease.